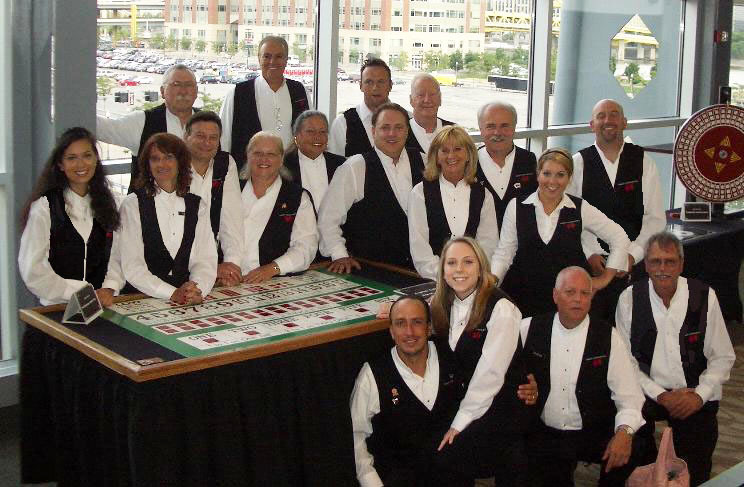 Bring a Monte Carlo Night Casino to your private party for a unique, interactive and fun experience for your guests. We deliver and orchestrate a complete package that features authentic gaming equipment, all the needed accessories including clay chips, play money, playing cards, card shoes, dice and raffle tickets, along with the delivery, setup and operation of the games for a 2 to 3-hour event. Never gambled before? Don’t be shy! Our dealers are always happy to teach and offer pointers on any of the games. So the next time you’re in Vegas, you won’t be afraid to try your luck! Our friendly Pit Boss will also be onsite from beginning to end, assuring hours of interactive and fun entertainment! Including Craps, Roulette, Blackjack, Blackjack Switch, Let It Ride Poker, Classic Poker, Texas Hold’em Poker, Big Six Wheels, Money Wheels, authentic Slot Machines, along with many choices for unique “add-ons” to your event. You can choose from our tabletop games (we create the games with authentic casino lays using 6-foot banquet tables you provide), or have us bring our actual free-standing premium tables. Craps is a dice game in which the players make wagers on the outcome of the roll, series of rolls or on a pair of dice. The object of the game is to be dealt cards totaling as close to 21 without going over, while at the same time beating the total of the Dealer’s cards. The Dealer must hit on 16 and under and stay on 17 and over. 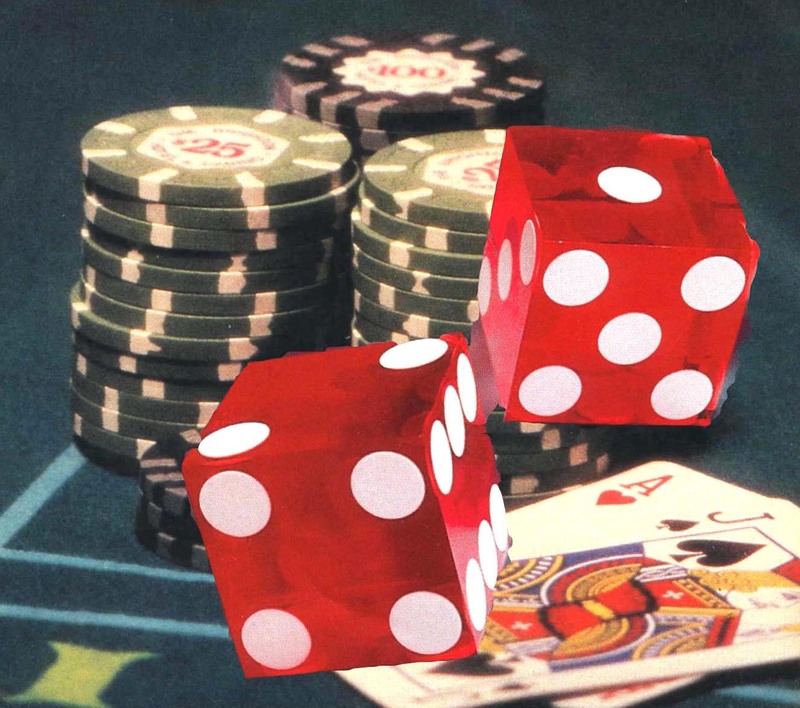 Players choose to place bets on either a single number or range of numbers, the colors red or black, or whether the number will be odd or even. To determine the winning number and color, the roulette ball is dropped onto the wheel as it spins, and the ball lands in a slot, determining the winning number and color. A shared card poker game, each player is dealt two private cards and then five cards are dealt face up, which are shared (or “community”) cards that can be used by anyone. The winner is the player who can make the best five-card poker hand from the seven cards available. A variation of Poker, Let It Ride combines large payoffs for small wagers with the drama of drawing cards to fill the Player’s hands. The difference is that Players aren’t playing against each other or the Dealer. All players have to do to win is to have a qualifying Poker hand (i.e. a pair of 10’s or better). The Wheels are classic, simple betting games ~ players bet on a number and the wheel is spun. Payoffs are made according to which spoke the wheel lands. Bring the flashing lights and unmistakable gaming sounds of authentic Slot machines to your event. Our Slots come complete with gaming tokens. We suggest giving raffle tickets to players that hit a jackpot, good for chances at prizes that you provide. Blackjack Switch is a variation of Blackjack that allows the Players to do what is normally considered a classic cheating maneuver – trading cards between two hands. To begin, Players must place 2 equal bets and are dealt 2 hands. Players are then permitted to switch the second cards dealt on each hand. The one main difference is that Blackjack pays even money. Our money system is based on $1,000 increments, which is the minimum bet. Each guest begins with $10,000, which equals 10 individual bets of $1,000 each. We provide you with Cash Coupons (business size cards), each worth $10,000. One card is allocated to each guest prior to the start of the casino. To begin playing, guests present their cash coupon to the dealer of their choice at any of the gaming tables in exchange for $10,000 in chips or play money bills. Our dealers are trained and certified on the rules of each game, so even a gambling novice can play – and win! If you have guests who have never gambled before, our dealers will help teach and lead them through their game of choice. 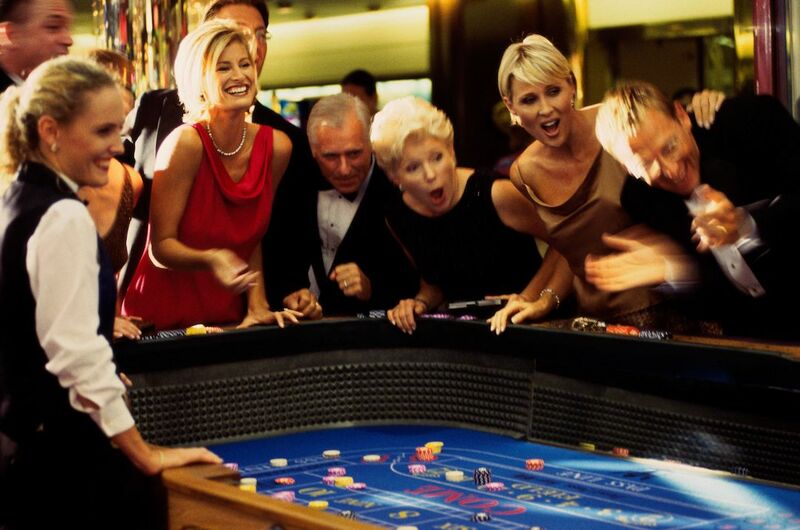 As Casino Parties are very interactive, guests can move from game to game or settle in at their favorite. Our dealers are friendly and entertaining, and will help create a comfortable, relaxed atmosphere where guests can meet one another and share the common goal of winning and having fun. This is not your local casino with unfriendly, stern dealers. Our dealers are mini-entertainers – ensuring each table is exciting! Our goal is to make it easy and fun for you and your guests. At the conclusion of the gaming period, dealers can convert guests’ winnings. We use a 5 to 1 ratio conversion (for every $5,000, guests receive 1 raffle ticket) with a maximum of 25 raffle tickets per guest. We provide double style raffle tickets that guests will split, keeping one half and distributing the other for chances at your prizes. There are a few options as to how guests can use those winnings such as holding a live auction or awarding the biggest money winner. We always recommend a raffle – where all winnings will be converted to raffle tickets good for prizes you provide. This helps embrace the entire crowd and gives everyone a chance to win. Even those who chose not to play the games can cash in their cash coupon for raffle tickets. General Raffle – all tickets are collected into one big raffle bowl or raffle drum (we can provide one for you). Chinese Raffle or Individual Raffle – each prize has an individual bowl that guests can select or they can lobby for a certain prize by placing all their tickets into one certain bowl. Mystery Raffle – each prize is wrapped or concealed, making the prize reveal another part of the fun and the excitement. If requested, we can even customize a raffle. Whatever you choose, we can help guide you. Most buyers like to purchase their own prizes but we can help you with that as well, if needed. Prizes don’t need to be elaborate for guests to want to participate and win, but having at least one prize gives a fun and purposeful conclusion to the casino. The raffle is often run by you, but if needed, we can provide an emcee for the event. 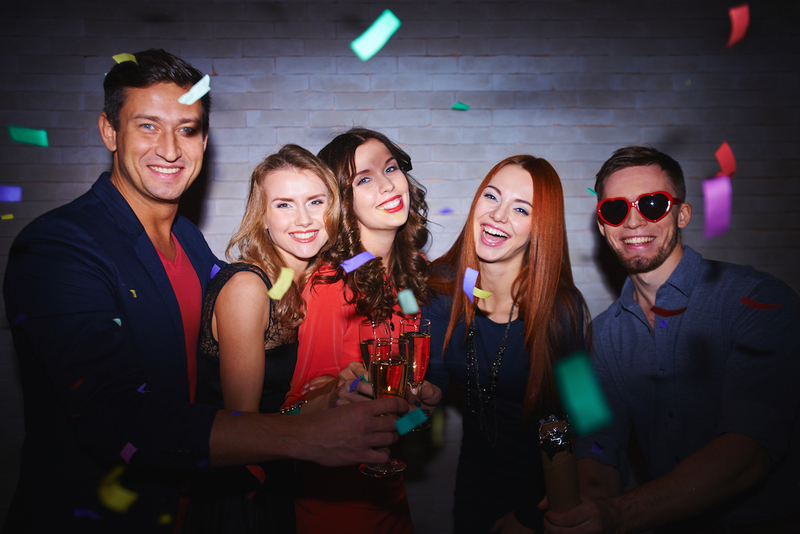 A Casino Party is easy, fun and most importantly, your guests will love it! Our experienced team is here to answer any of your questions.